Oil pulling has been used for many years to strengthen teeth and gums, prevent decay, oral malodor, dryness of throat and cracked lips. A few months ago, I was offered GuruNanda Pulling Oil. After moving, this past week, I found the bottle (opps!) and decided to start back with the oil pulling routine. Within the first two weeks of oil pulling, I could tell a major difference! From the mucus forming in the back of my throat to the clean feeling after brushing my teeth, it’s safe to say this stuff does work. Instructions for Oil Pulling: Oil Pulling is very simple. Soon after waking, but before eating or brushing your teeth, swish a teaspoon of oil around your mouth for 15-20 minutes and spit it out to “pull” bacteria and other toxins from your body. Warning: Do Not Swallow! 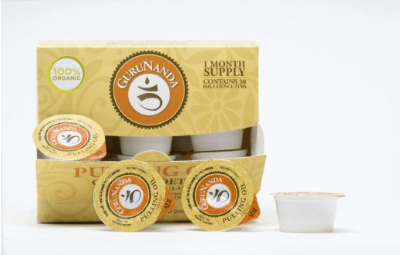 If you purchase the Gurunanda oil then you will receive a small plastic measuring cup. I recommended to the company to have a cup that list the actual size in teaspoons or recommended amount. Recommended Oils for Oil Pulling: Typically, sesame or coconut oil (Raw Virgin) are recommended for oil pulling. Some people also use sunflower or ghee (butter oil) but it varies. 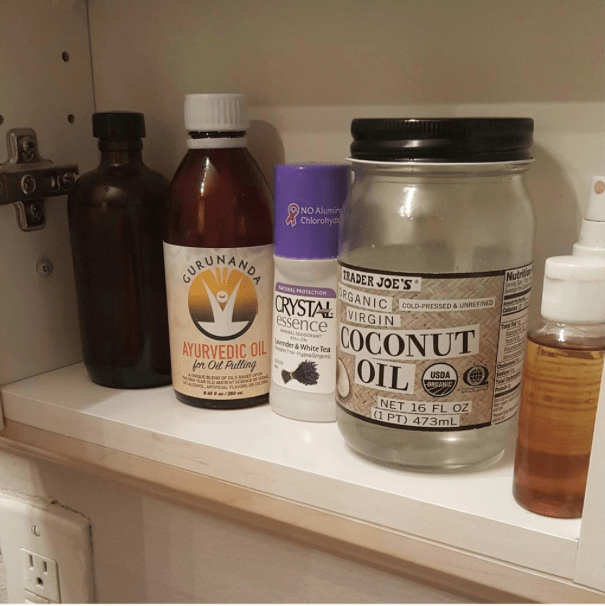 I have used sesame and coconut oil previously; however, it can be hard to find a good reputable brand. GuruNanda Pulling Oil is a blend of oils mixed together so you get all the benefits of each one without the oily taste. Taste: There isn’t really any flavor but you can taste a bit of mint flavor due to the peppermint oil, which is nice to me. I like it a bit better than the just the plain odd taste of sesame oil. Benefits of Oil Pulling for Teeth: I can honestly say my teeth seem to be cleaner when I brush them due to oil pulling. As stated before, there are tons of benefits like removing toxins and helping promote healthy oral hygiene. 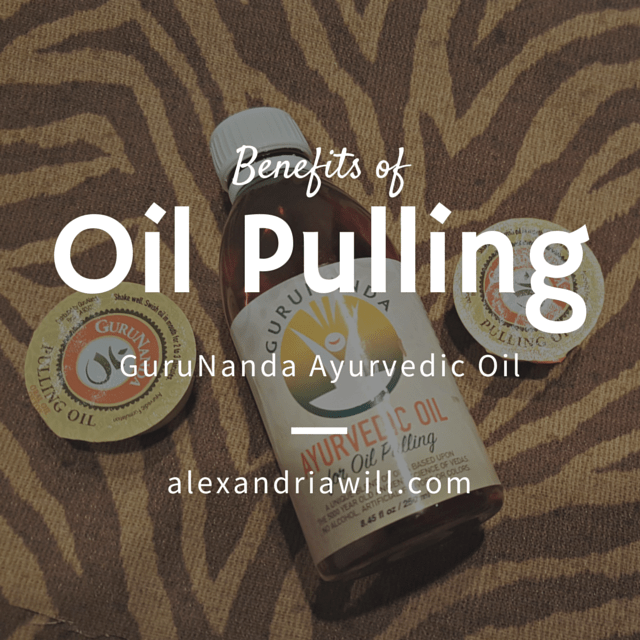 The Difference in GuruNanda Pulling Oil: This particular oil is a perfectly balanced combination of pure sesame , sunflower, coconut and peppermint oils. I can feel a difference in this particular blend verses using a regular singular oil. Here are a few benefits of the oil. Cost: For a one month supply (using once a day), the cost will range from $15 to $20 dollars. While it’s roughly the same price point as a very good coconut or sesame oil for oil pulling, often for this price you can purchase the virgin raw coconut oil in a larger size. I recommend this particular product for most oil pulling beginners or those wanting to do an intensive month of oil pulling. 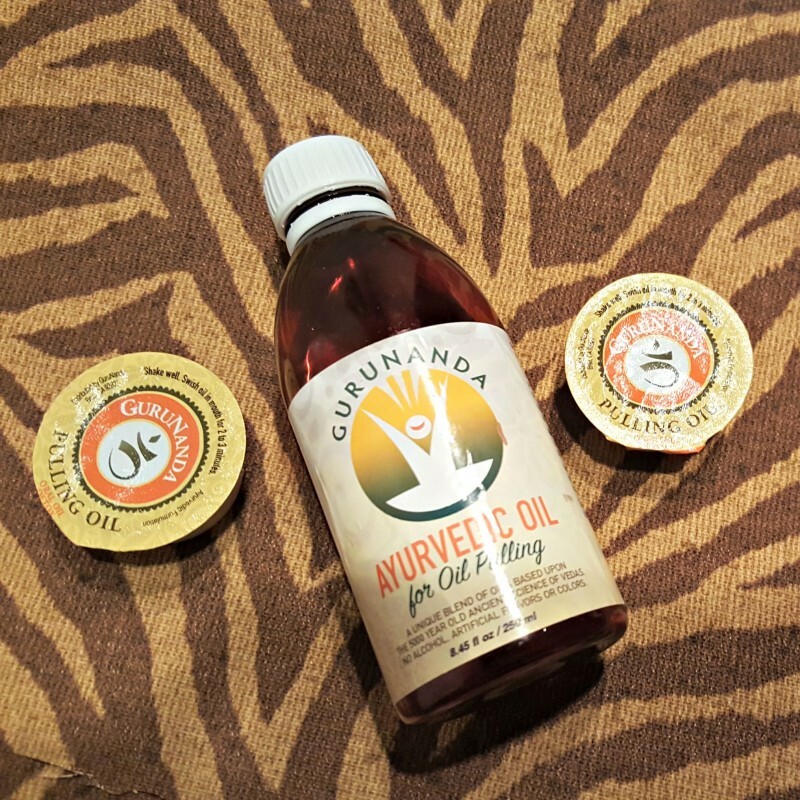 You can find out more information on Oil Pulling by reading the Oil Pulling Therapy book or to purchase GuruNanda Oil Pulling Oil through their website. Disclosure: I received a bottle of GuruNanda. Because I liked the product, I decided to share this particular product. No compensation was offered. All opinions are 100% my own.